Located at 1858 W Grand Ave Chicago, IL 60622 in Chicago’s West Town neighborhood. 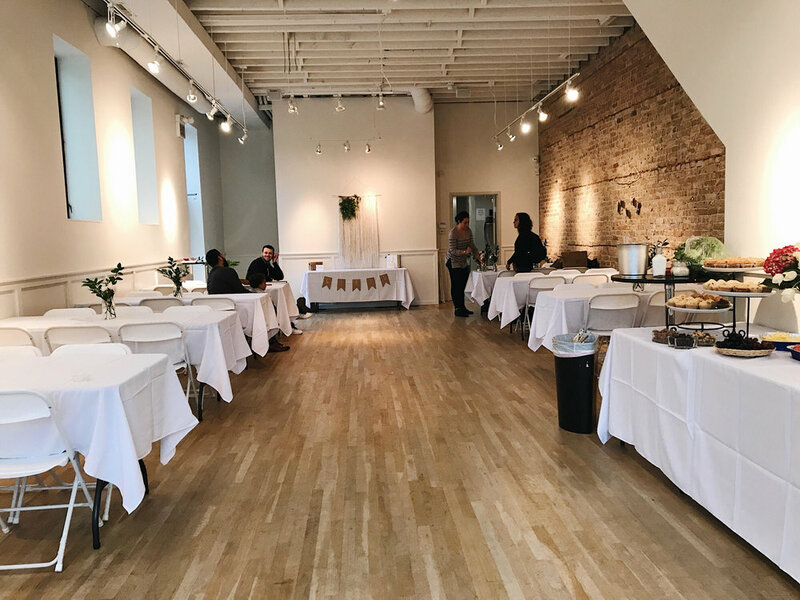 Specializing in events for 100 guests or less, we are Chicago's best creative multi-use space and the perfect, affordable alternative to larger venues! 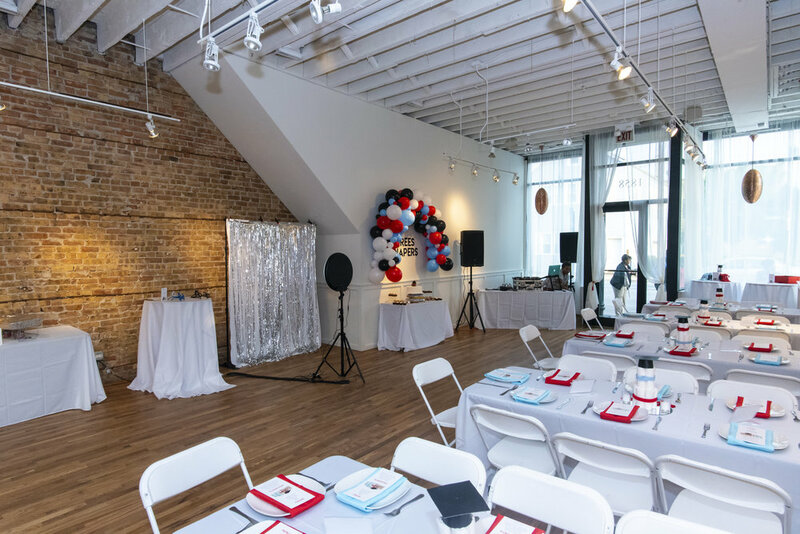 Designed to reflect the urban essence of Chicago, this venue is a loft style brick building that sits directly on the corner of Grand & Wolcott Avenues for convenient parking and easy guest access. 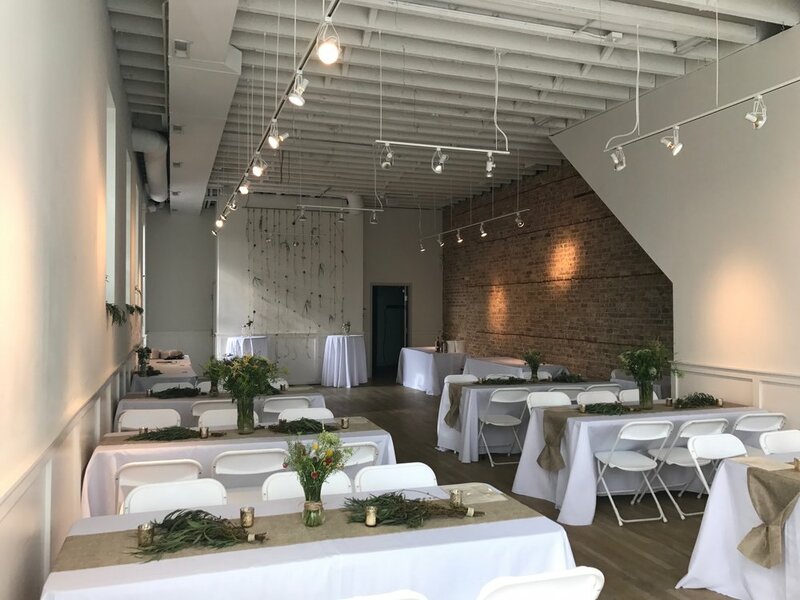 Beautifully simple and clean, the interior of the space features a glass storefront with floor to ceiling windows and sheer curtains, exposed wood beams, large side windows, and a focal brick wall. There are no discounts for shorter time use. Holiday rates may vary. 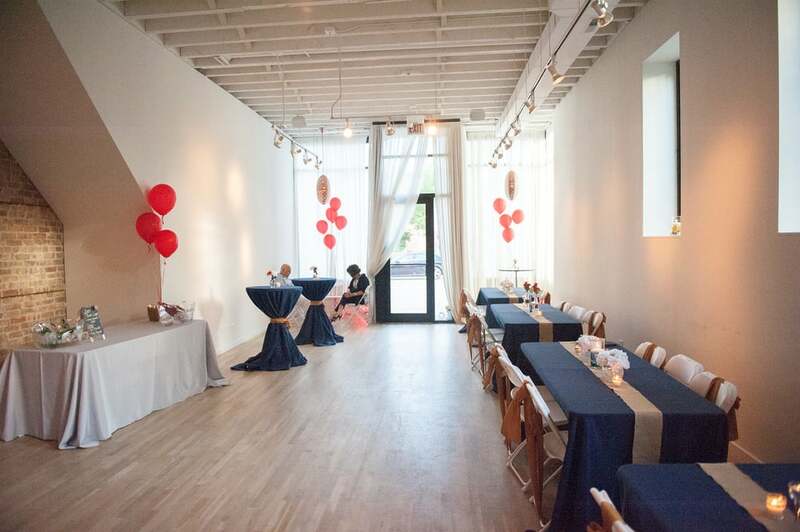 We require 50% of the rental fee as a down payment to secure a date. 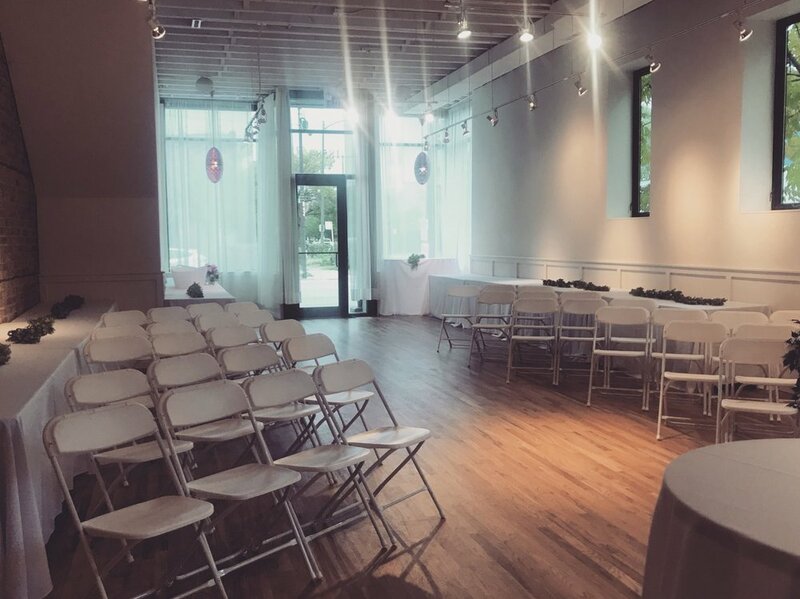 Dates are not secured unless both a down payment and signed contract have been submitted. or any other questions you may have.